Exactly one year ago, I went to my friends Manon and Félicien’s wedding in Vendée, in the West of France. 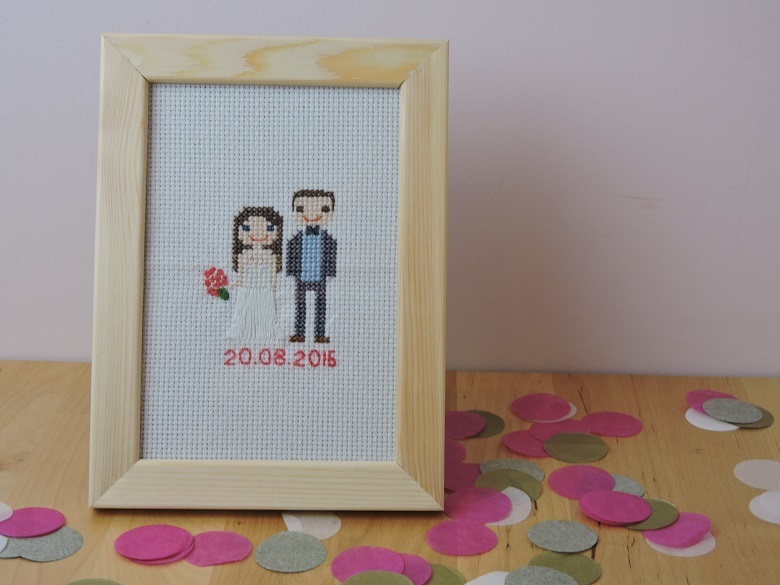 I wanted to sew them a portrait for their wedding gift, based on the many cross stitch grids I had already accumulated on Pinterest and Instagram. 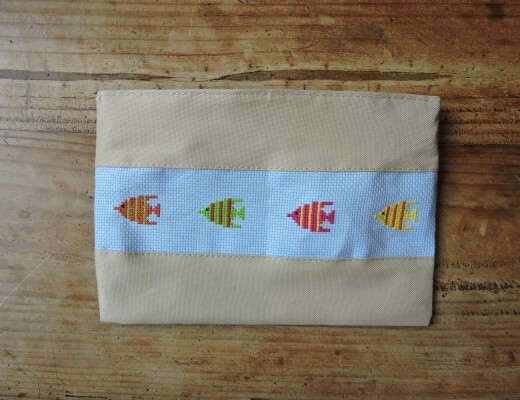 But I only found time for the project a year after the festivities (!) 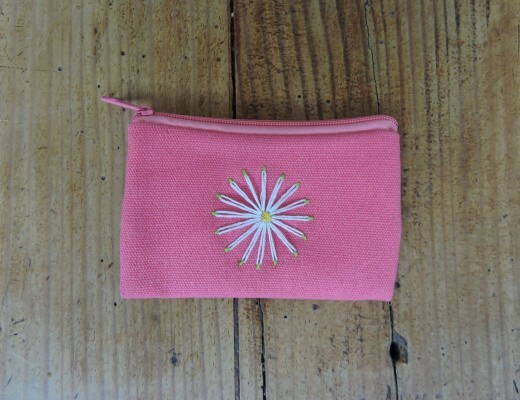 when we went on holiday last month and I could spend my days sewing. 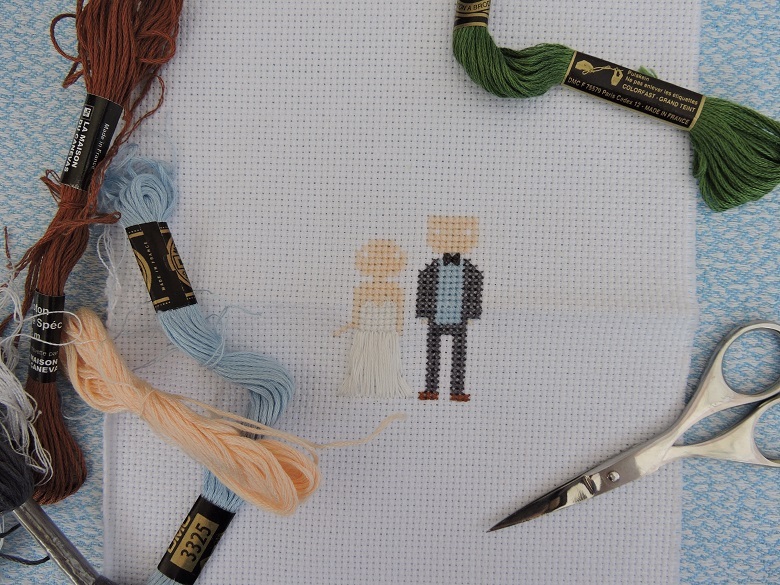 But in the end, I think it’s better this way, as I was able to create the wedding portrait based on real life photos from their wedding day! Also, in France, the first wedding anniversary is symbolised by cotton (and not paper) so it turned out quite well when you think that the gift is one year late! 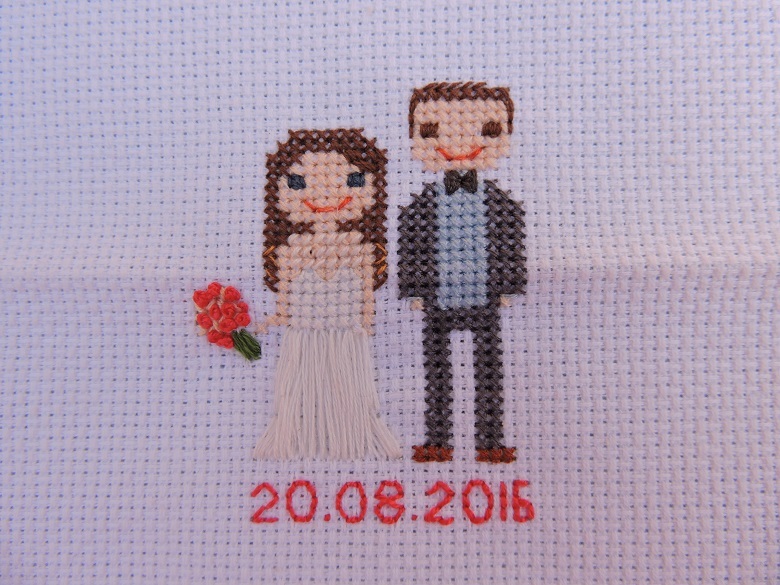 It was quite fun sifting through my collection of embroidery threads to find the exact colours for the couple’s hair and clothes… But I do have to admit that after having looked at their wedding photos for hours on Facebook, I did start to feel a bit like a stalker, despite having the best of intentions in mind! 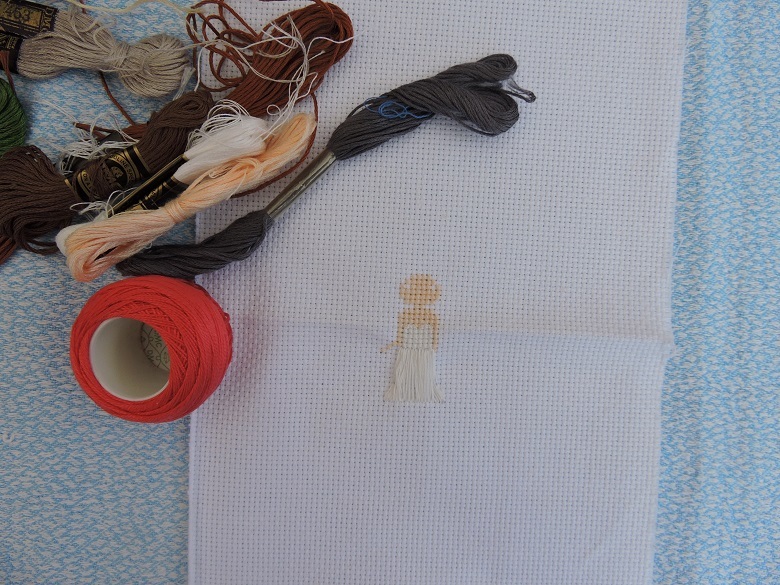 So here’s a few photos of the cross stitch wedding portrait coming together bit by bit during my lovely holiday spent in the sun….